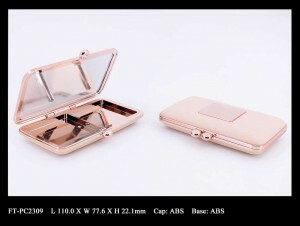 Makeup compact with clasps closure – Cosmetics Packaging Supplier | Fancy & Trend Enterprise Co., Ltd. The entire compact is composed of 4 separate part that are being made with different molds: base, base segment for product filling, top lid (with mirror), and top decorative plate. 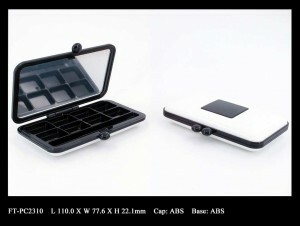 The individually produced parts can be in different colors and decoration treatments, and bring strong color contrast for strong visual impact.